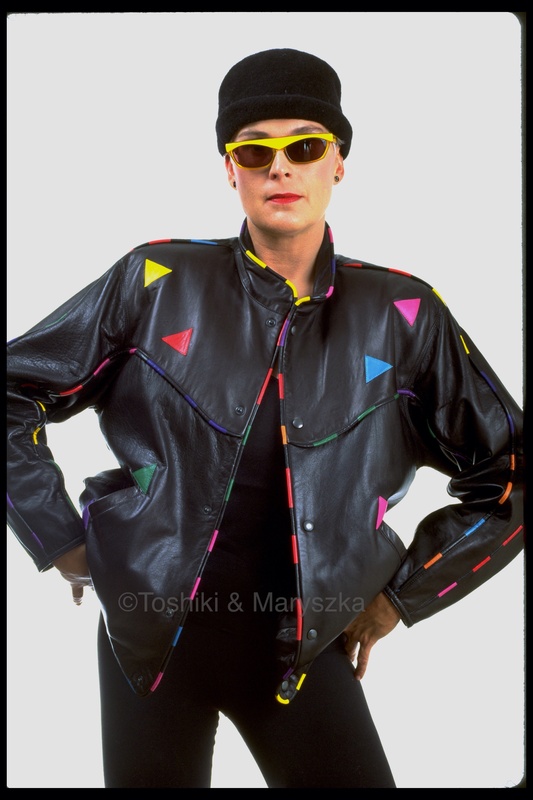 TBT, who remembers these leather jackets we made in the rockin’ 80’s? So much color! And shoulder pads! This was one of our more subdued “bomber” styles. It was a fun time, but I wonder if that era will come back in fashion? taken on our “in house always available” model.